Bruce deposits 100 into a bank account. His account is credited interest at a nominal rate of interest of 4% convertible semiannually. At the same time, Peter deposits 100 into a separate account. 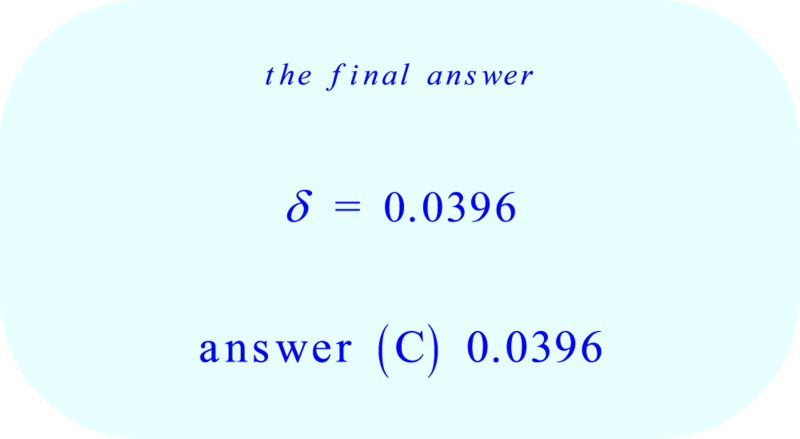 Peter’s account is credited interest at a force of interest of δ . After 7.25 years, the value of each account is the same. Bruce’s account is credited interest at a nominal rate of interest of 4% convertible semiannually. 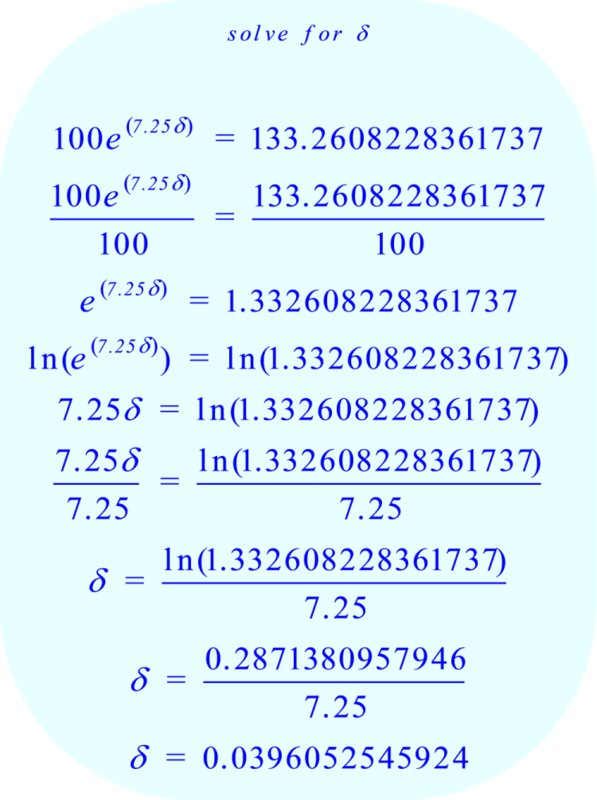 The nominal interest rate is the stated annual interest rate. 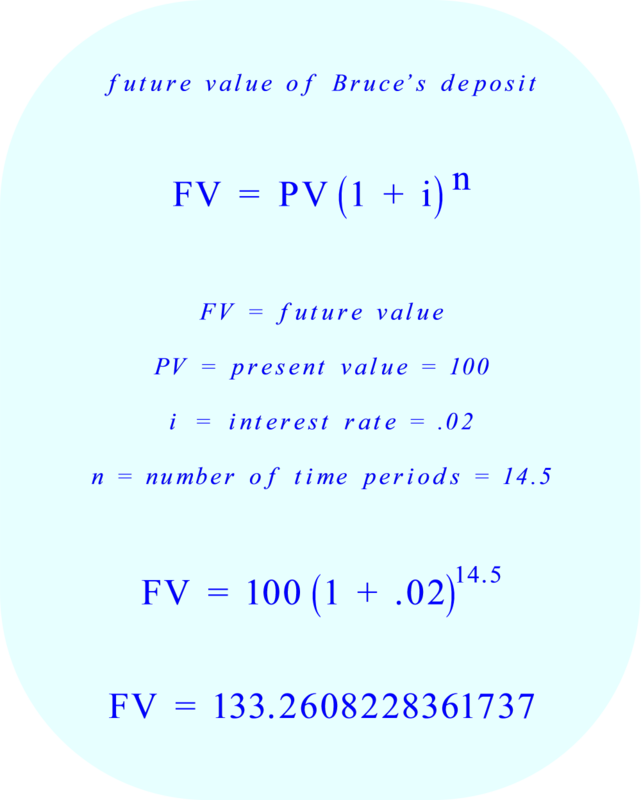 For Bruce’s 100 deposit, the nominal interest rate is 4%. Convertible semiannually means the interest is compounded every six months. 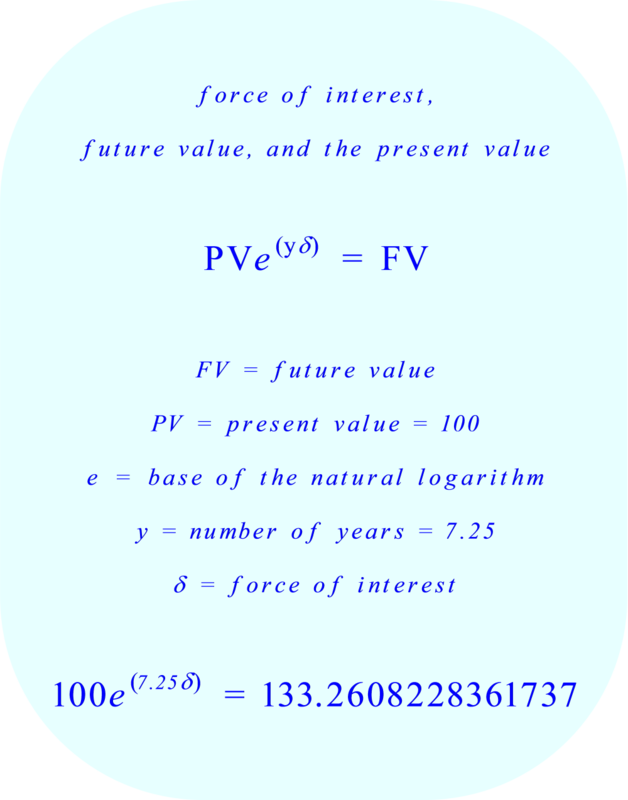 The “force of interest” is that interest rate that compounds continuously, rather than compounding after a fixed time period (such as compounding every six months).